This is Brian, our CEO. 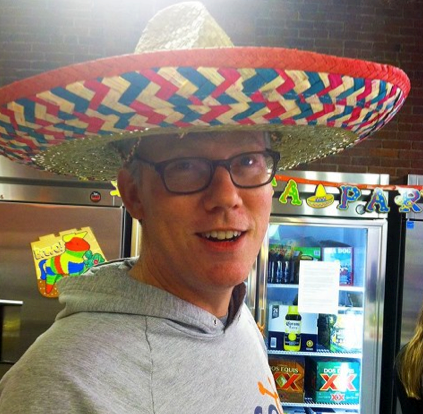 Aside from his outstanding taste in headwear, Brian is also known around HubSpot for his unwavering vision of what it will take to build HubSpot into a once-in-a-generation company. He's also a data guy. An MIT alum and lecturer, Brian knows how to separate useful data from vanity metrics, and he's quick to let you know what truly counts as an indicator of how our company is faring at delivering on its promise. While we proudly think of Brian as a unique leader, this laser focus on measuring the right metrics is something I'd wager he shares with CEOs across the board. And when it comes to social media, in particular, vanity metrics abound. So here are some social media metrics that actually matter to our CEO --- and likely yours, too! 1) Channel Reports: Are we spending our time and money in the right places? It never feels like you can move fast enough when you're trying to build something remarkable. And inbound marketing done well takes time. Most marketers are spending more than 6 hours a week on social media marketing, trying to grow their audience and attract visitors. And with all of the social channels available, it can be tough to know which ones are actually working for your business and which are just filling up your time without producing worthwhile results. As a result, one of the key metrics we track at HubSpot is how many visits, leads, and customers each individual social channel is generating. If you're a HubSpot customer, you can find this data in the Sources report (example below), and you can export it to send to your CEO along with the rest of the data that matters for social media decision-making. If you're not using HubSpot's software, you can get a reasonable amount of data to help you decide where to spend your time using Google Analytics. 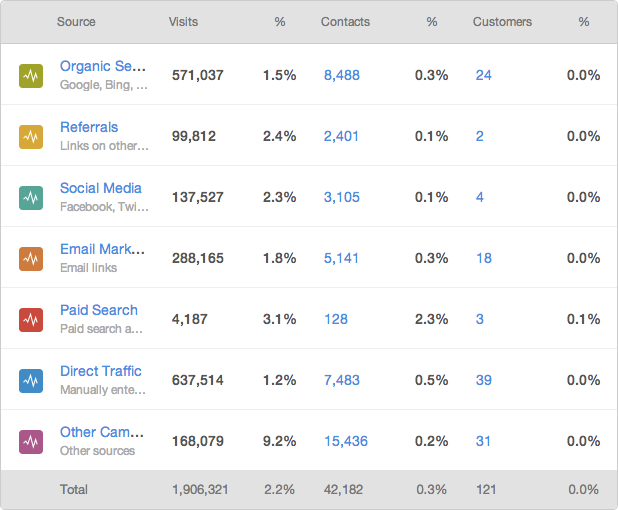 Within Google Analytics, there are both site referral reports and a report called 'Social Activities.' While these reports don't trace all the way through to the customer level, they will show you how many visits and interactions your social media efforts are generating, which are good starting proxies for where to invest your time. If you haven't yet chosen which social media channels to get started with and aren't sure where to begin, IMPACT Branding, a HubSpot Partner, has a helpful guide for choosing the right channels for your business and deciding what to measure. 2) ROI Data: Is social media generating leads and customers for us? This is the true bottom line metric for growing our company. If Brian Halligan were to wiz by our social media team's desks at 2 in the afternoon, this is what they should be prepared to holler out to him. "Hey Brian! 17 customers from social media so far this quarter. Nice Sombrero!" This is also among the most elusive of social media metrics. According to Adobe, 52% of marketers cite difficulties in accurately measuring ROI as their biggest source of frustration in social marketing. To achieve it, you have to be able to plug your marketing analytics into a contact database or CRM. Doing so allows you to connect marketing activity directly to sales activity and achieve a full-funnel view of your efforts. It also helps you keep the right ratio of inbound and outbound methods. You can start to use that data to see how social media contributes to your overall marketing strategy, and make projections about what you can expect it to deliver in the coming months. Knowing this allows your team to set goals and make adjustments when necessary in order to outperform prior months. 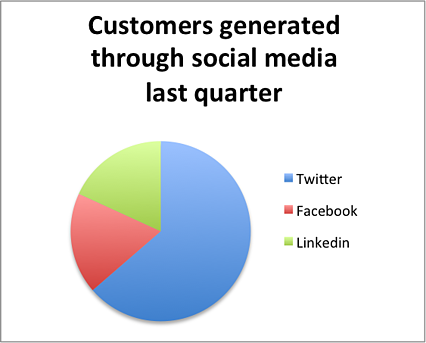 3) Customer Response Rates: Are we responding to customers in social media? More and more customers are taking to social channels to raise questions, express frustrations, or otherwise engage with the companies they buy from. A 2013 Study from NM Insight accurately highlights this sea change. It found that 1 in 3 social media users prefer contacting a company over social media than by phone. However, of all consumers tapping social media for customer service inquiries, only 36% report having their issue solved quickly and effectively, and it's critically important to Brian (and the rest of us) that our customers not be on the wrong side of that ratio. Each of us can count on Brian to forward a customer tweet in social media to make sure we're keeping up on it, too. But what he's also going to want us to track is how often customers are mentioning our brand and how many of those inquiries receive responses. Depending on your volume of activity, it can be hard to catch every single inquiry, but as community managers, we should be striving for a 100% connect rate. There's little else more frustrating for a customer than a question ignored, even if it's unintentional. Regardless of whether you can achieve a 100% connect rate, you should at least be tracking how many customer questions go unanswered so you have a metric to work against. 4) Opportunity Response Rates: Is our sales team finding and responding to opportunities in social media? How many interactions are you having with prospects and leads in social media? How many mentions of your company are you responding to? How many closed deals have involved social media interactions? Marketing can lend a hand in this by monitoring social media and forwarding relevant mentions or questions to your sales team. Try it ardently for a full sales cycle and measure your results. 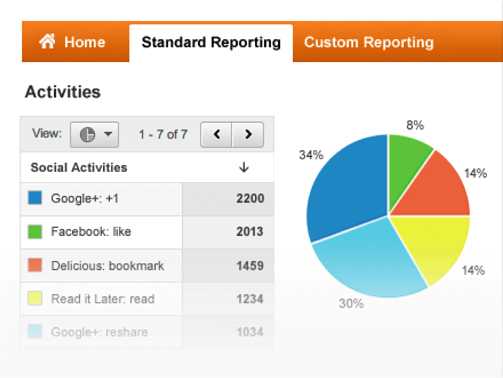 If it's working for your team, start to streamline and report on the above numbers as a standard report for your CEO. 5) Reach and Virality: Has social media helped us grow our reach? Social Search: Search engines take social cues like social shares into account when they're ranking your content. If you tweeted your article and you have 1,000 followers compared to your competitors' 50 followers, you have a much better chance of generating social shares and a much better chance of ranking in search. But it's the shares more than the audience that are important to measure. EdgeRank: Similar to search engines, Facebook determines which posts are prioritized in its News Feed by the favorability of the posts as measured by how many people interact with it (learn more about how EdgeRank works here). So the more people who interact with your content, the more likely it will generate the activity needed to keep it prevalent in the feed. Be careful with this though -- don't let click-worship lead you to posting gimmicky things just for the sake of interactions. Make sure your content stays useful. 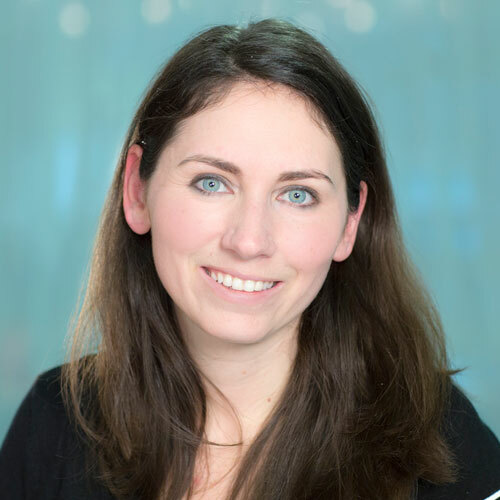 Cultivating Evangelists: My colleague Pamela Vaughan has written a helpful post about this very topic: "Why Companies Need Social Media Followers Who Won't Ever Buy." There are lots of people who will never be in a position to consider or buy our software, but it's still important for our company to develop those relationships and make those connections. Like any effort that affects our bottom line, this one is important to measure and report on. There's a statistic from a Regan.com report that I can't shake from my mind. They surveyed 2,714 communications professionals and learned that nearly 70% of them are dissatisfied or only “somewhat satisfied” with how they measure social. And if the marketers are unsatisfied, think of how that translates to the executive level. Yes, the options for what to measure are widespread. The trick is to narrow in and get data for what really counts for your business. 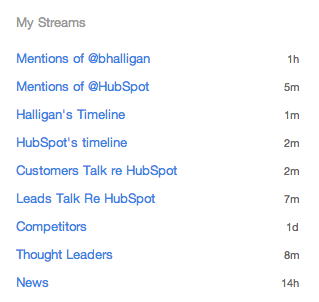 I'm curious -- how many of these metrics are you reporting on today? How would you rank them in order of importance to your executive team? And of course, double points for any CEOs who comment and share their own favorite headwear.